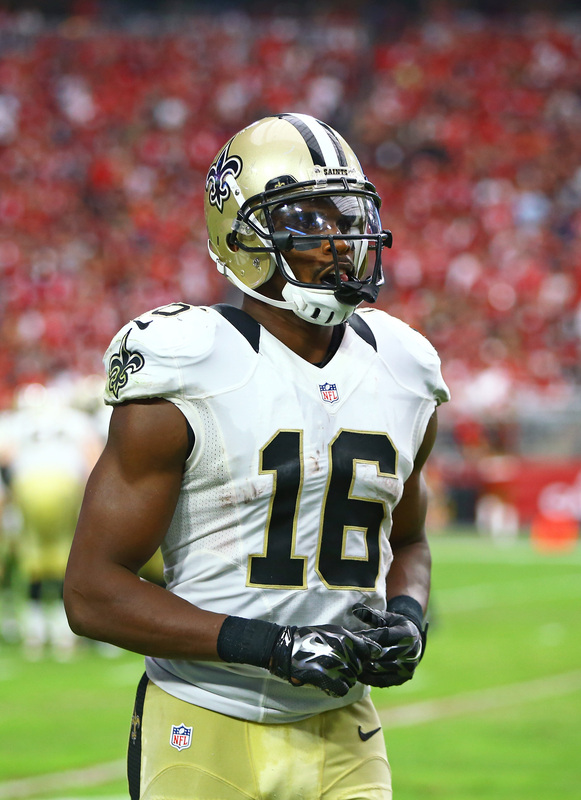 The Saints released Brandon Coleman yesterday, but the receiver could end up finding his way back to New Orleans. Head coach Sean Payton hinted that the 26-year-old could return to the organization once he’s healthy enough to play. After starting training camp on the active/physically unable to perform list, the Saints released Coleman with a failed physical designation yesterday. Payton told reporters that the receiver is dealing with neck and hip injuries, and the estimated recovery time meant the Saints were forced to part ways with the former undrafted free agent. The six-foot-six, 225-pound Coleman may have stood above his fellow Saints wideouts, but he was unable to put up big numbers with New Orleans over the past three seasons. His 2017 campaign was on-par with his usual production, as he finished with 23 receptions for 364 yards and three scores. If Coleman were to return to the Saints, he’d have a tough time improving on those stats, as Michael Thomas, Cameron Meredith, and Ted Ginn Jr. seemed to be locked in atop the depth chart. 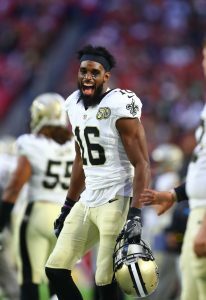 The Saints will release wide receiver Brandon Coleman with a failed physical designation, according to Field Yates of ESPN.com (Twitter link). Coleman had been sidelined by an unspecified injury in recent weeks, tweets Mike Triplett of ESPN.com. New Orleans declined to tender Coleman as a restricted free agent earlier this year, failing to bring him back on an original round tender that would have cost $1.9MM. Instead, the Saints re-signed Coleman in April to a deal that had a maximum value of $1MM. Exactly how often Coleman was to contribute during the upcoming season had been unclear, as the Saints improved their wide receiving corps over the offseason. New Orleans landed Cameron Meredith after inking the former Bear to a restricted offer sheet, one which Chicago declined to match. He’ll likely act as the Saints’ slot receiver between Michael Thomas and Ted Ginn Jr., so Coleman was — at best — the club’s fourth wideout. Coleman, who entered the league as an undrafted free agent out of Rutgers in 2014, has never been all that productive while catching passes from Drew Brees. His target share and overall reception total decreased in each of his three full seasons with the Saints, and he was never able to top 30 receptions or 500 receiving yards during his tenure wit the team. But there are reasons to be somewhat optimistic about Coleman’s future, and his large stature is one of them. Coleman stands 6’6″ and 225 pounds, meaning he nearly has the frame of a tight end. That size hasn’t contributed to production out of the slot thus far, but Coleman is still only 26 years old. Coleman also fared well in Football Outsiders’ DYAR, which measures value over a replacement-level player — among the 71 wideouts with fewer than 50 receptions in 2017, Coleman ranked a respectable 13th in DYAR. The Saints have agreed to re-sign wide receiver Brandon Coleman, according to Ian Rapoport of NFL.com (Twitter link). Coleman was scheduled to hit restricted free agency last month, but New Orleans non-tendered him rather than offer him a contract. An original round tender — the cheapest of the RFA tags — would have cost the Saints just $1.907MM, so they’ve presumably re-signed Coleman at an even cheaper rate. Exactly how often Coleman will be called on to contribute during the upcoming season is unclear, as the Saints have improved their wide receiving corps over the past month. New Orleans landed Cameron Meredith after inking the former Bear to a restricted offer sheet, one which Chicago declined to match. He’ll likely act as the Saints’ slot receiver between Michael Thomas and Ted Ginn Jr., so Coleman is — at best — the club’s fourth wideout. Coleman, who entered the league as an undrafted free agent out of Rutgers in 2014, has never been all that productive while catching passes from Drew Brees. His target share and overall reception total decreased in each of his three full seasons with the Saints, and he was never able to top 30 receptions or 500 receiving yards during his first go-round with the team. But there are reasons to be somewhat optimistic about Coleman’s future, and his large stature is one of them. Coleman stands 6’6″ and 225 pounds, meaning he nearly has the frame of a tight end. That size hasn’t contributed to production out of the slot thus far, but Coleman is still only 25 years old. Coleman also fared well in Football Outsiders’ DYAR, which measures value over a replacement-level player — among the 71 wideouts with fewer than 50 receptions in 2017, Coleman ranked a respectable 13th in DYAR. Saints’ Brandon Coleman On Roster Bubble? Wide receiver Brandon Coleman isn’t assured of a spot on the Saints roster, as Mike Triplett of ESPN.com writes. Coleman, who spent his rookie season on New Orleans’ practice squad, appeared in all 16 games in 2015, posting 30 receptions for 454 yards and two touchdowns. But following the Saints’ most recent preseason game, head coach Sean Payton wasn’t very complementary of Coleman’s performance. “I thought it was just OK,” said Payton. “And honestly, it’s been kind of pedestrian from him throughout camp. There’s certain things you see and you see and you see and you see, and then all of a sudden they reveal themselves in a game. And you know what, I’m not surprised. And I think he can be better, and I know I’ve seen better. The Saints selected Ohio State’s Michael Thomas in the second round of this year’s draft, and he figures to take over for Marques Colston as the club’s big slot. And with Brandin Cooks and Willie Snead locked in on the outside, Coleman is the fourth option on the depth chart, at best. New Orleans has spent all offseason trying to find a veteran to add to that group, as they’ve agreed to terms with both Vincent Brown and Hakeem Nicks, but neither lasted on the roster. Payton also didn’t have kind words for return man Marcus Murphy, who has fumbled in each of the Saints’ first two preseason contests. “It just can’t happen. We’ll find another returner,” said Payton, who added that undrafted rookie free agent Tommylee Lewis will be given the chance to usurp Murphy’s role. Murphy, 24, was New Orleans’ primary returner in 2015, averaging just under 10 yards per punt return and 25 yards on kickoffs. The Saints have placed running back Pierre Thomas and defensive end Akiem Hicks on IR, according to Mike Triplett of ESPN.com (link). Taking their spots on the 53-man roster will be wide receiver Brandon Coleman and linebacker Jerry Franklin (link). Coleman and Franklin were bumped up in order to secure them under contract, according to coach Sean Payton. They are not expected to play this weekend. Despite playing in ten games this season, Thomas has only amassed 45 carries this season, which will be the lowest for his career. He has been pushed onto the backburner as former first-round pick Mark Ingram has seen his workload and productivity increase. Ingram, who has also struggled with injuries, has been given over 200 carries during his breakout year. Hicks was a third-round pick in 2012, and played 14 games for the Saints this year. His productivity was marginal, getting to the quarterback for only two sacks this year, but did contribute 4.5 sacks in 2013.